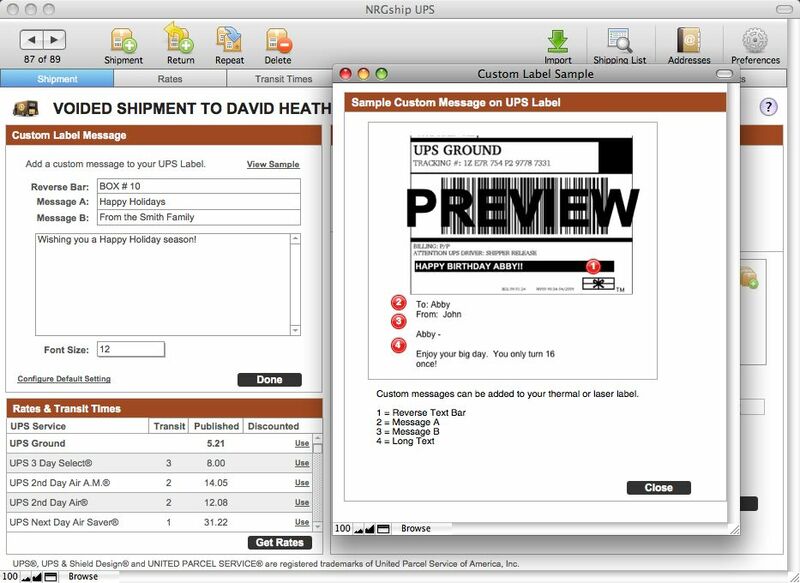 NRG: Mac & FileMaker Shipping Software :: How can I include a custom label message from FileMaker Pro in UPS for FileMaker? 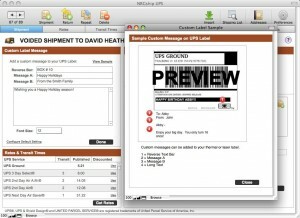 How can I include a custom label message from FileMaker Pro in UPS for FileMaker? When the labels are printed, they will include this additional information. Labels printed to a thermal printer will include this information on a Doc Tab label beneath the standard 4x6 shipping label. These labels can then be placed on a gift card enclosed in the box which makes for a personalized shipment.